Bangs are great way to change up your whole look. So let’s take a look at these Pretty Short Bob Hairstyles with Side Swept Bangs that can inspire you to go with bangs! Side swept bangs are perfect for reshaping your face especially if you don’t have oval face. Shaggy short haircuts can be completed with side swept bangs nicely. Here is a really cute dark bob hairstyle with side bangs and choppy layering. 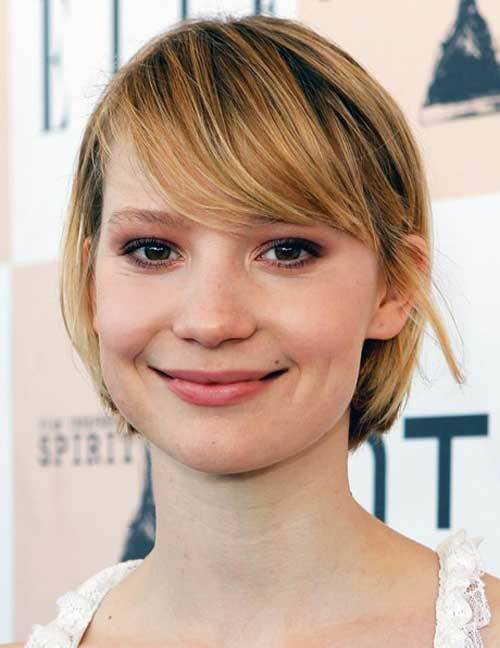 This cute blonde short bob hairstyle with side bangs is a great choice for women with thin hair. This blonde bob hairstyle has really long side swept bangs that they almost look like layering. This blonde bob hairstyle looks really nice and stylish layering and hair color show off the whole hairstyle. Short bob hairstyles with side swept bangs is nice for omen with heart shaped face. Choppy layers and side swept bangs goes great together on bob hairstyles. Here is a colored straight short bob hairstyle with long bangs and ombre. 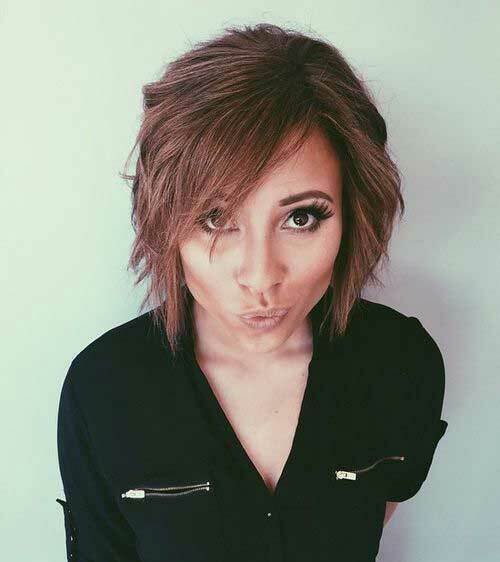 Choppy layers and messy style looks great on this short bob hair. You can sport your blunt bob hair as side swept to create new looks. 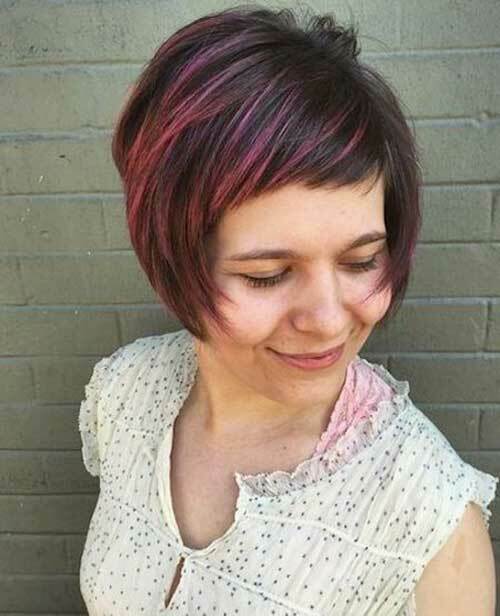 Here is short haircut with pink balayage and short bangs. This short haircut with blonde hair color red low lights and side bangs can be a great inspiration for black ladies. Rihanna sports really nice dark short bob hairstyle with pink highlights and and side parted style. 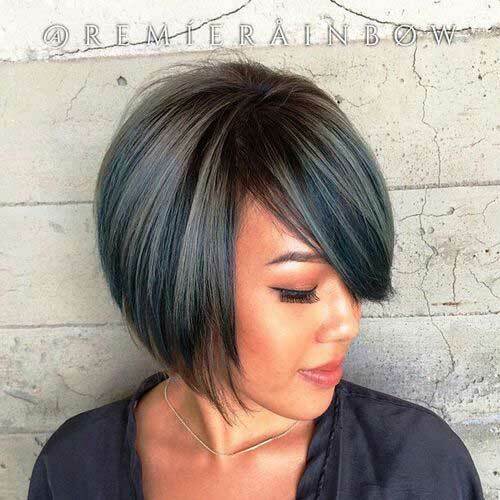 This side parted bob hair with ombre color looks edgy, sassy and stylish! Sleek straight platinum blonde bob hairstyle of Michelle Williams rocks side swept bangs! As we have mentioned before blunt long bangs can be sported as side swept too! Here is a really classy short bob hairstyle for older women with side swept bangs and blonde hair. 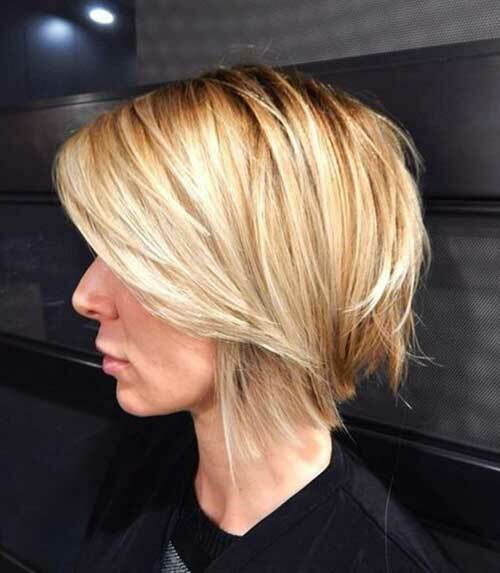 This cute short blonde bob hair is side swept and looks definitely gorgeous.